Jimmy Butler was on the cover of Sunday’s Star Tribune and now graces the cover of Sports Illustrated’s NBA preview issue. 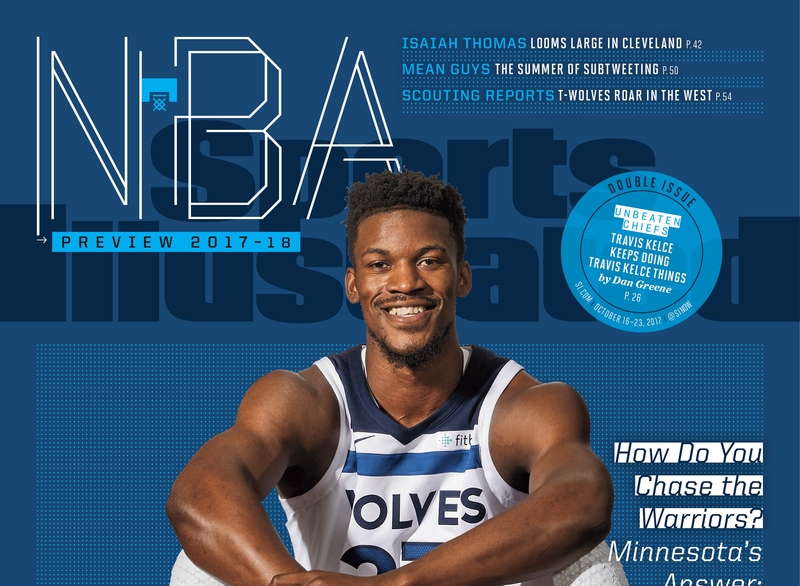 Jimmy Butler was on the cover of Sunday’s Star Tribune and now graces the cover of Sports Illustrated’s NBA preview issue. Both of those are positions of prestige, but I can concede the latter probably carries more weight. I would recommend you read both of the stories — ours by Jerry Zgoda and the SI piece by Lee Jenkins. SI had a little more space, as is the case with magazines vs. newspapers, and used that room wisely to write a captivating profile of Butler and exactly what makes him go. Read the rest. It’s worth your time. Remember the Vikings collapse that mirrors the US soccer disaster?